tpmbLAW has been recognized by peers and clients alike for their professionalism and proven results. tpmbLAW has provided high quality legal representation in Nashville and throughout Tennessee since 1954. Serving Clients' Legal Needs for More than 50 Years. 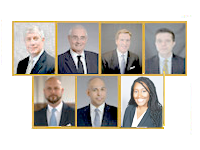 Taylor, Pigue, Marchetti & Blair, PLLC (“AV” rated by Martindale-Hubbell) has been providing high quality legal representation in Nashville, Davidson County, and throughout Tennessee, since 1954. Today, we bring our wealth of knowledge, experience and professional expertise to each and every client and case we handle. The firm currently engages in general civil practice including civil litigation, corporate and governmental representation and bankruptcy and creditors' rights in all state and federal courts. We represent clients ranging from financial institutions, utility districts, insurance companies, not-for-profit organizations and municipalities, to credit unions, businesses and private individuals. Our approach is straightforward and professional, with discernment and genuine understanding. Our effectiveness is exemplified by long-term working relationships with our clients, serving them for more than a decade. Contact Taylor, Pigue, Marchetti & Blair, PLLC today and let's talk about how our lawyers might help you. A free initial consultation is available. 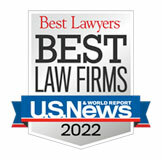 Call today - 615-320-3225.
tpmbLAW is pleased to announce that the firm has been listed as a “Best Law Firm” by U.S. News - Best Lawyers. Best Lawyers in America recognizes the top 4 percent of practicing attorneys in the U.S. and is the oldest and most respected peer review guide to the legal profession. tpmbLAW is consistently recognized as an outstanding legal frim by peers in the industry. 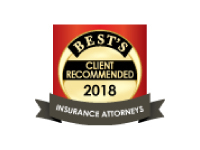 Best Lawyers® “Best Law Firms” rankings are based on a rigorous evaluation process including the collection of client and attorney evaluations and peer review from leading attorneys in their fields. clients and our peers in the legal profession. Call 615-320-3225 for professional, consciencious, and dependable help with your legal needs. 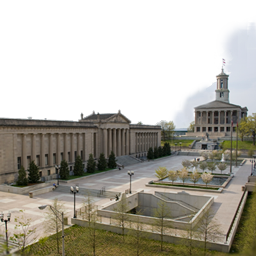 Serving the legal needs of Nashville, Davidson County and throughout Tennessee since 1954. We are committed to providing a professional and consciencious client experience and we are pleased to offer a free consultation. The information provided on this website is not legal advice. 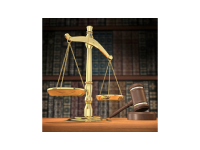 No attorney-client or confidential relationship is formed by use of the site.